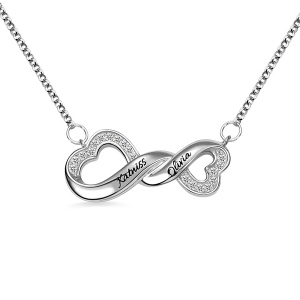 Given that you dedicate your life to your lover, finding the perfect present for their birthday or anniversary should be easy. In reality, girlfriends, boyfriends, wives, husbands, children are probably the most special in our lives and we really would like them to appreciate the gifts which are given to them. And when you see that smile on his face, all of that hard work will be made worthwhile. Everyone has passions in life, and your girlfriend, fiancee, wife is no different. By basing your gift around those loves, you’re guaranteed to raise a smile. There are many different ways to achieve this. A Custom Yin Yang Necklace can be the perfect way to highlight his beliefs while increasing his style in the process. Alternatively, sports and music memorabilia can be equally great ways to strengthen that bond with the things he loves most. If these gifts can enhance our lives life on a daily basis too, they have to be considered as a great solution. There is free shipping for purchases over $150.00 and the goods will arrive in 3-5 days. For Mother's Day gifts, there is a $10 voucher off for purchases over $80 and a $20 off over $150 of purchases. 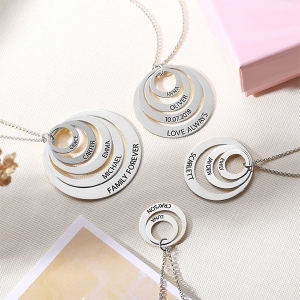 I really like this cheap personalized jewelry here, they make a special gift for our love ones, a gift which lasts a lifetime!